Similar to choosing your artificial grass surface, there are a few simple questions to think about before selecting your fencing. What sport is being played? Is there a requirement for strong fencing? What’s the function of the fence? Is it to guard off the perimeter or act as a boundary? Will there be a lot of ball or player contact with the fence? High contact sports – For intensive sports, it’s vital that your fence can withstand heavy contact without collapsing and possibly cause injury. Twin wire mesh is ideal for high contact situations. 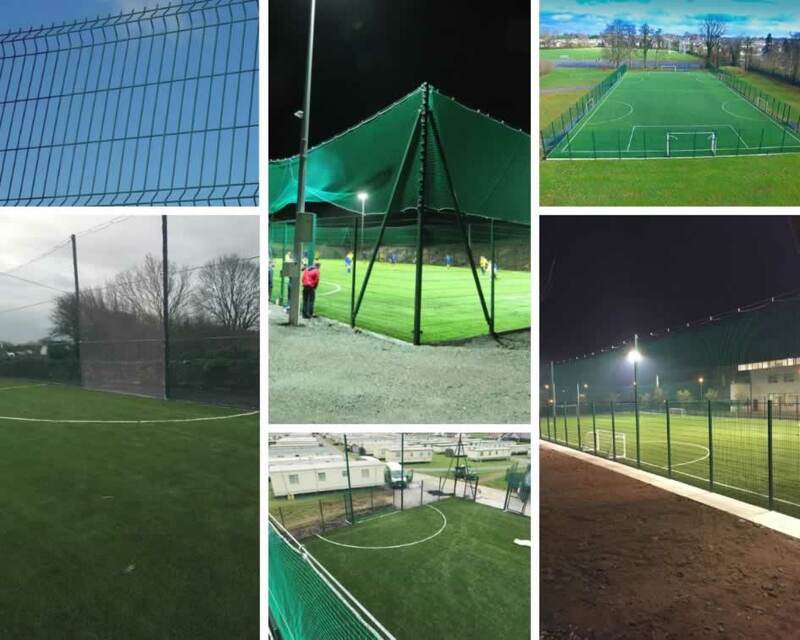 MUGA’s (Multi-use game areas) – If your Astro turf pitch is mainly used as a play area for children and not for competitive play it may just need a fence to act as a barrier and stop loose balls going out onto roads etc. As it doesn’t need to be too robust a good option here would be 3D wire mesh. 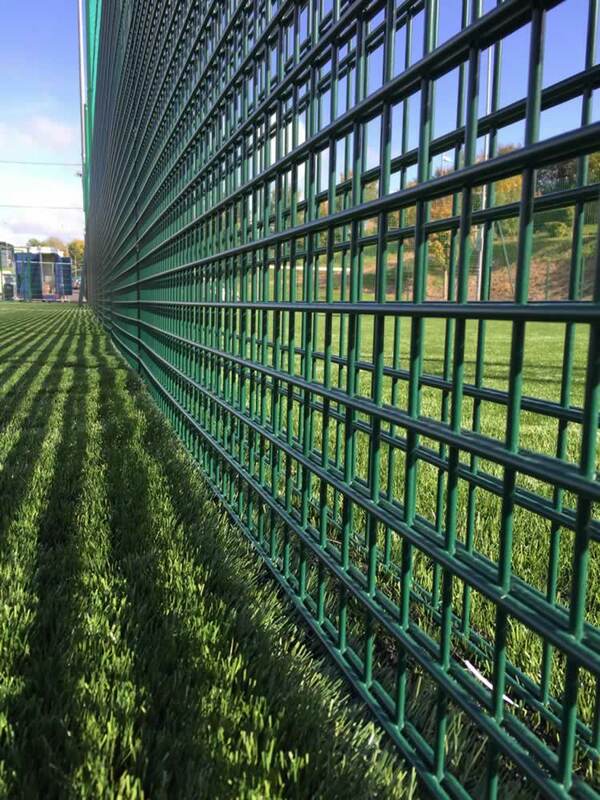 In a large number of our fencing installations we also add ball stop netting to give extra height to the perimeter. Our netting systems are designed mainly to keep sport balls within a distinct area. 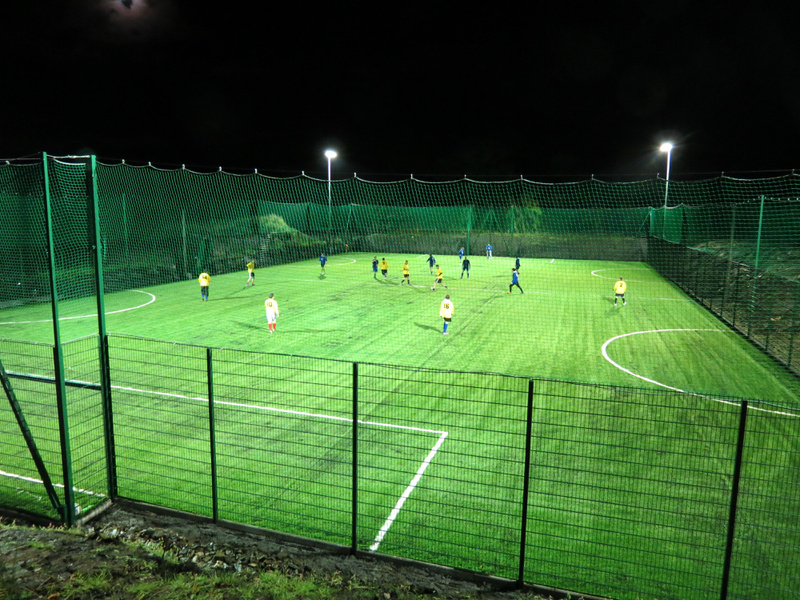 The net can completely cover the facility, the roof or on the perimeter of the pitch. Netting can also be used to divide up surfaces into smaller sections for 5-a-side etc. Netting can be a standalone system or incorporated into any of our fence designs. Specialised applications for catch nets can be designed to specific requirements.